El Kapitan and his wife Carmen Khao led the merriment during the start of The Year of the Pig. 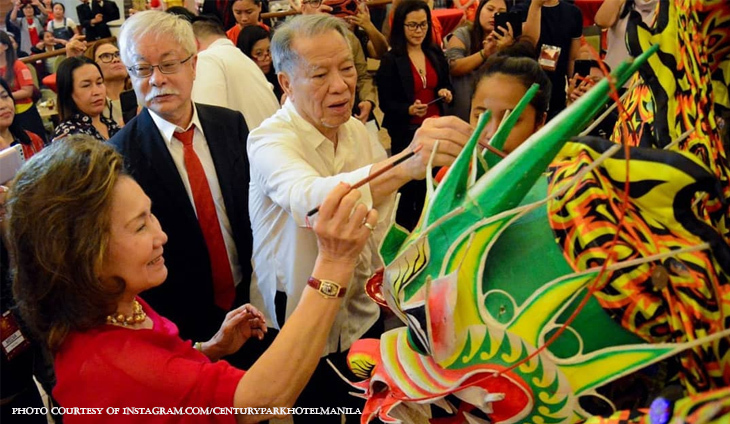 Tobacco, beer and airline tycoon Lucio Tan and family had a blast with the dragons during the Chinese New Year celebration. We can always count on our fave fab fahionista in throwing memorable parties.